During the colder months of the year, it’s time to make sure our homes are as warm and inviting as they can be, both in terms of actual temperature and coziness. 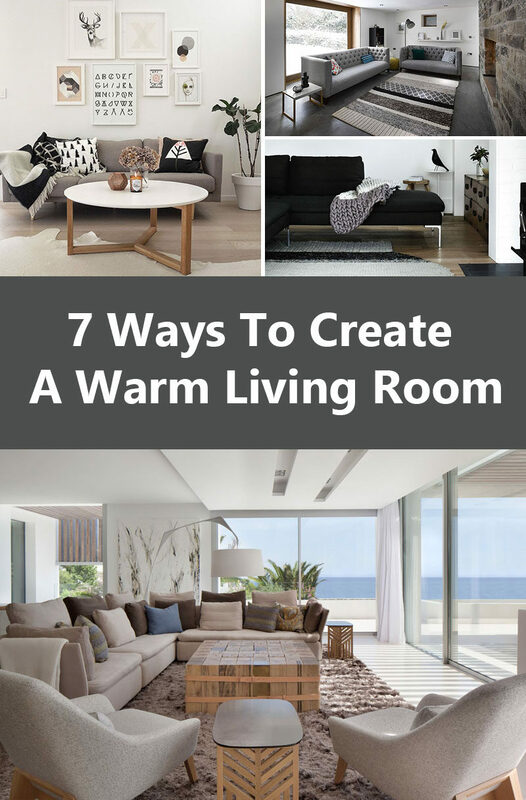 Today we’re sharing 7 things you can do to help create a warm cozy living room that doesn’t include simply cranking up the heat. Blankets and pillows both have the ability to soften and warm up a cold, uninviting room pretty much instantly. Drape blankets over your couch and toss on a few pillows give your space a warm look and cozy feel. Whiting Architects designed this contemporary addition. Photography by Sharyn Cairns. 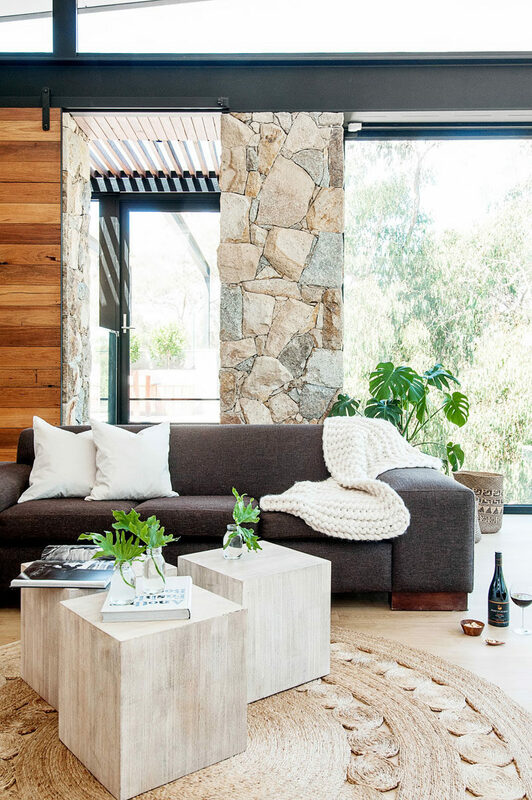 Alexandra Buchanan Architecture designed this home surrounded by bushland. Photography by Marvelle Photography. Mick Rule designed this demonstration home built by Craig Sheiles Homes. 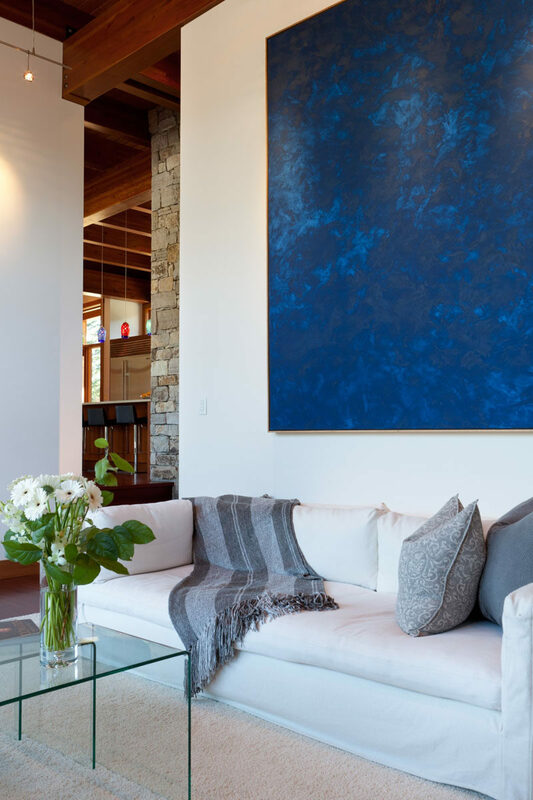 a|k|a Architecture + Design designed this Whistler residence. Wood has very warm feel to it. It’s got rich tones and comes in a huge variety of finishes. 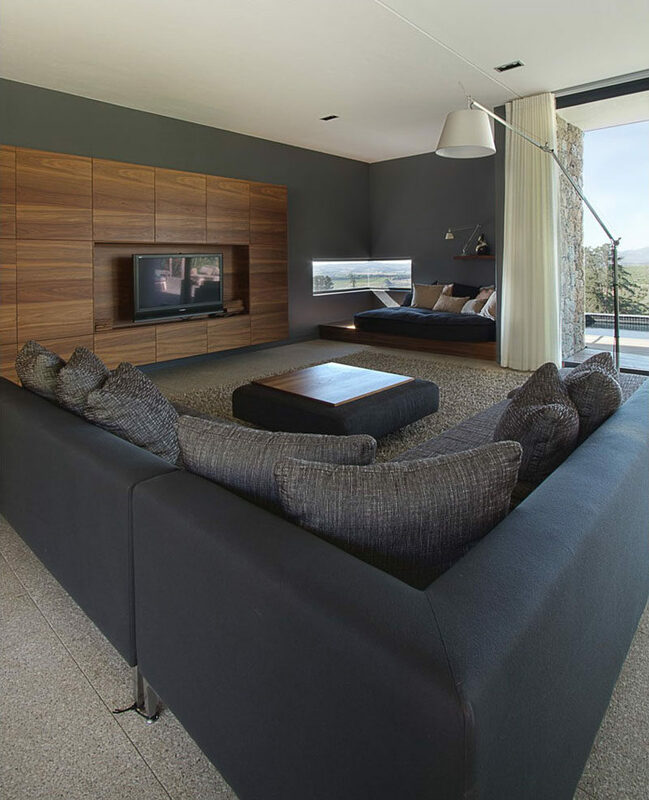 Adding wood to your living room is great way to warm it up and make it feel like cozy modern cabin. 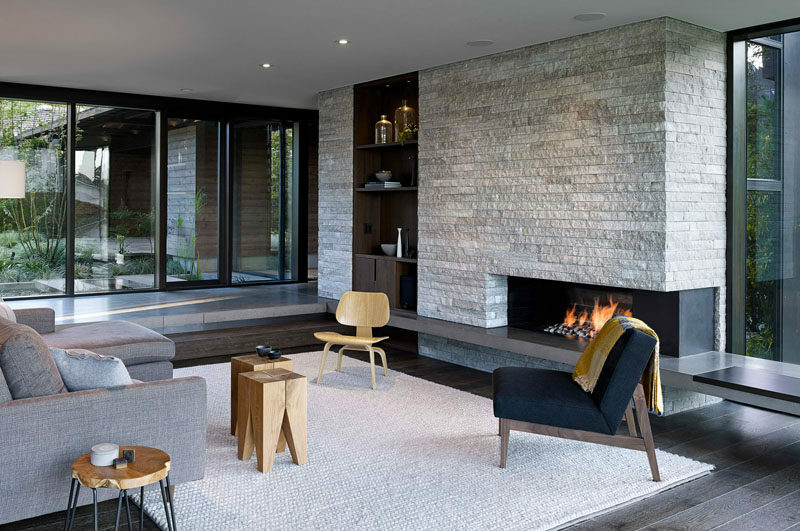 MW Works designed this mid-century modern update. Photography by Jeremy Bittermann. 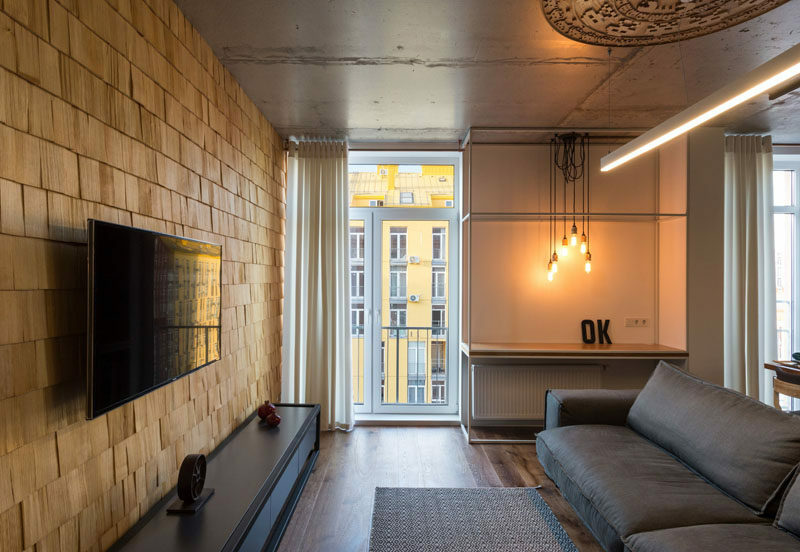 SVOYA studio designed this contemporary apartment in Kiev, Ukraine. Photography by Aleksandr Angelovsky. 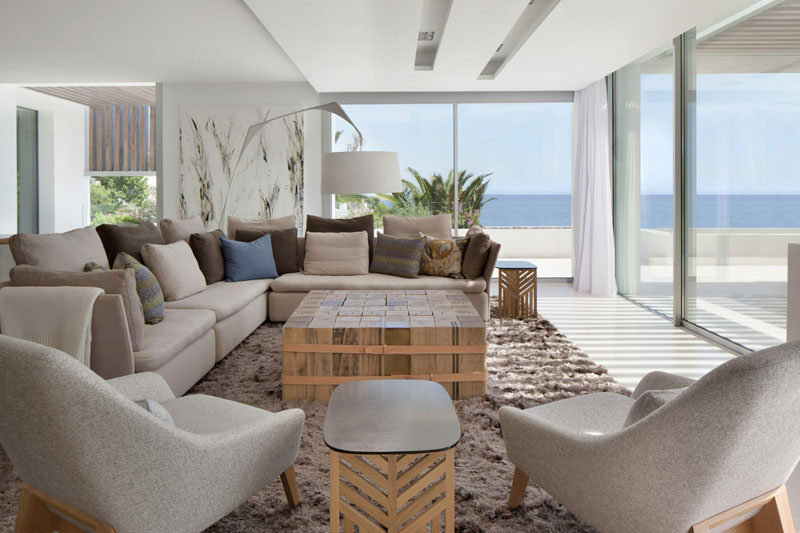 SAOTA and ARRCC designed this modern house with an ocean view. Photography by Lorenzo Vecchia. GASS Architecture Studios designed this hillside house. Photography by Kate Del Fante Scott. Fire might seem like an obvious way to warm up a space but not all spaces can accommodate a real fireplace. No matter where you live, a candle or two on the coffee table is a great way to cozy up your living room and make it feel warmer without it actually getting hotter. 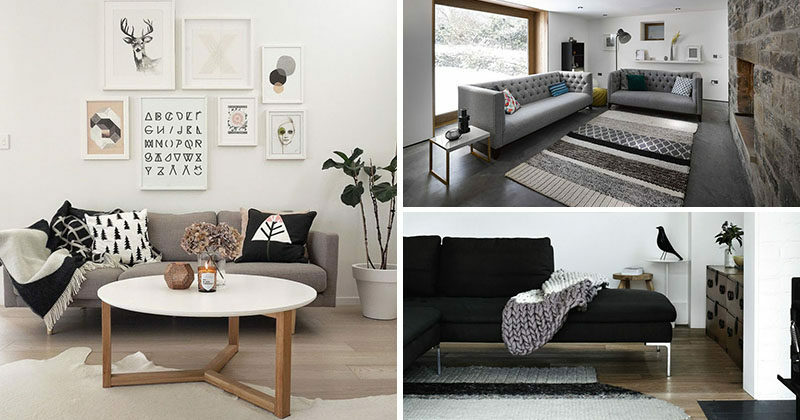 Interior design and photography by The Design Chaser. 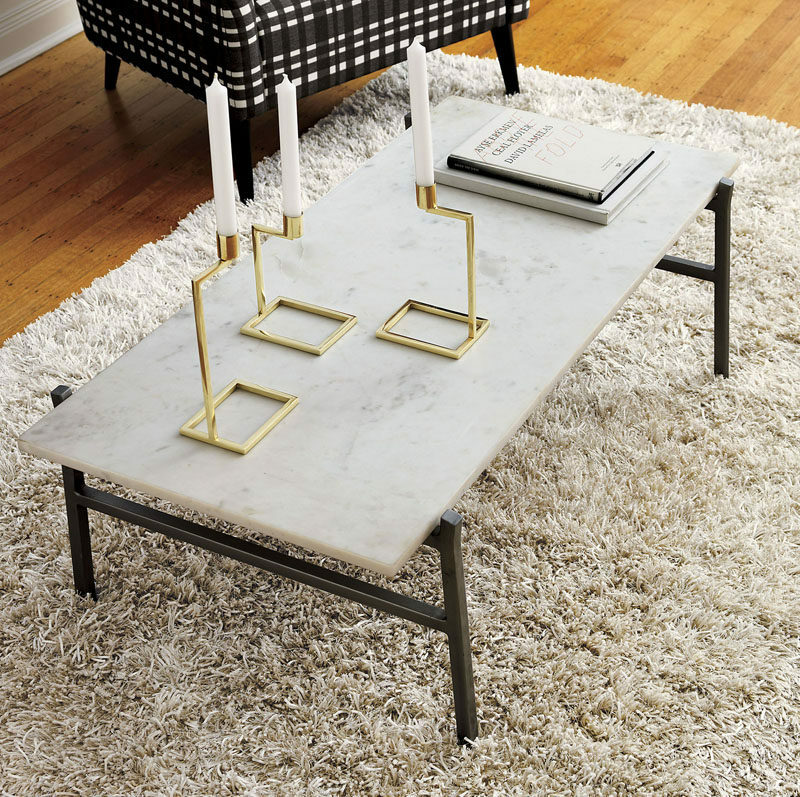 Slab marble coffee table with antiqued silver base from CB2. Using rich colors in your interior is a great way to add warmth to your living room. They’re neutral enough that they can be accented with brighter colors if you want to, but they’re also great when paired with a natural material like wood. 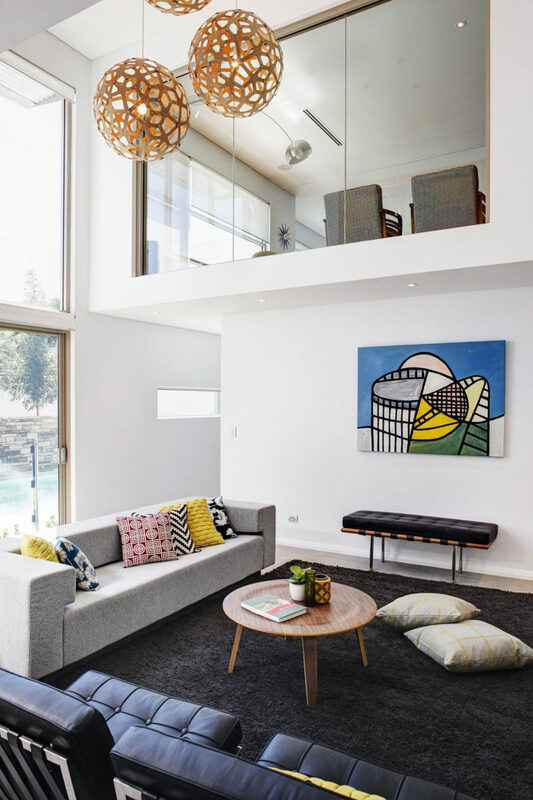 Gavin Maddock Design Studio designed the architecture and interior of this modern home. Photography by Adam Letch. Erinn Valencich and Patrick Hall of DA Inc. gave this California home a contemporary redesign. Photography by John Russo. 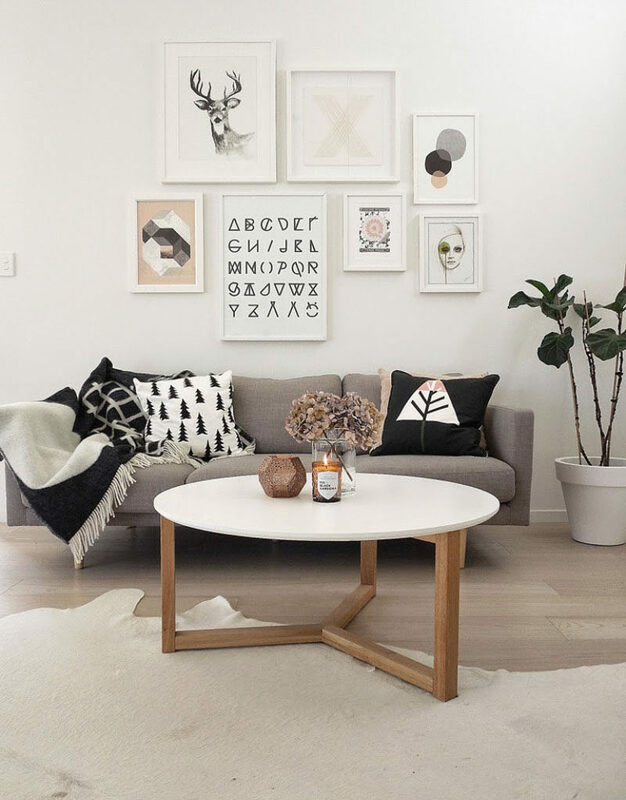 Adding art to your walls helps the room feel warmer and more inviting by making the space feel less empty. 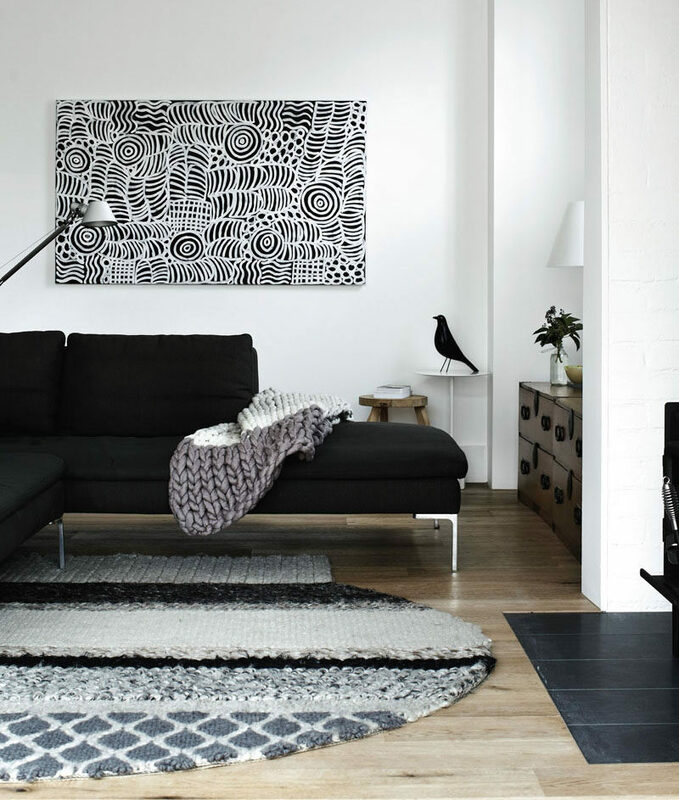 Bare walls, especially bare white walls, make a space feel cold and unfriendly. Make sure your room feels welcoming by adding some of your favorite art pieces to the walls of your living room. Mario Romano designed and built this Venice home. Photography by Brandon Arant. 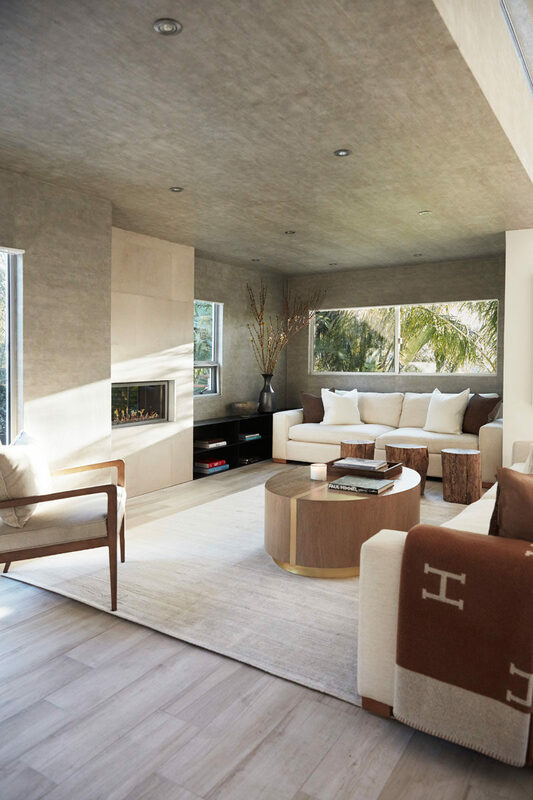 Steven Kent Architects designed this family home in Santa Monica, California. Bruns Architecture designed this contemporary house in Richfield Wisconsin. Photography by Tricia Shay Photography. Soft lighting sets a calm relaxing vibe in a room and makes it feel much more inviting. Rather than hanging bare bulbs or using harsh track lighting, soft lighting – either hidden in the ceiling or created by using shades – makes a living room feel warmer and cozier. 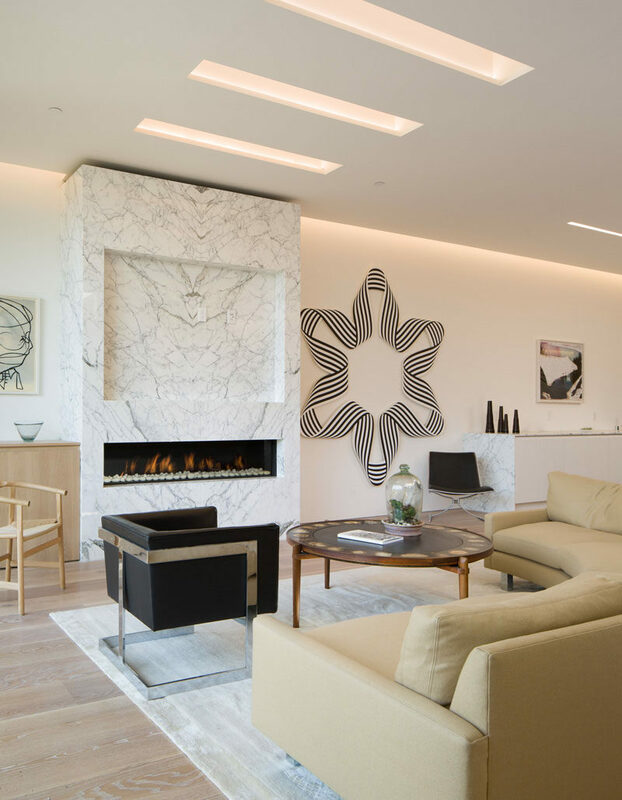 Interior design firm Escobar Design by Lemay designed this New York City apartment. Photography by Robert Lowell. M-PROJECTS and Larson Shores Architecture + Interiors designed this San Francisco home. Covering a cold floor with a cozy rug is a great way to add warmth to your living room and an element of comfort to your home. They come in a huge range of sizes, styles, and colors so no matter what kind of space you’re working with you’re guaranteed to find one that will suit your living room needs. 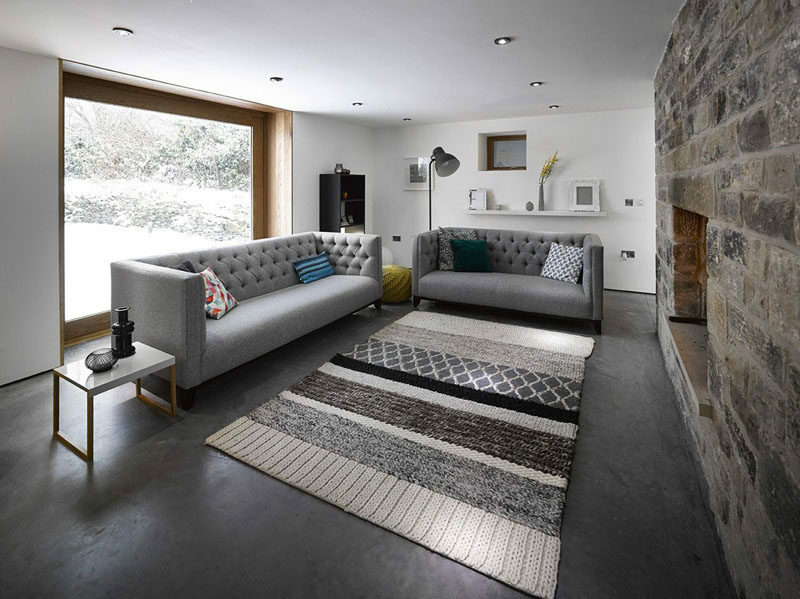 Snook Architects designed the renovation of this contemporary home. Photography by Andy Haslam. 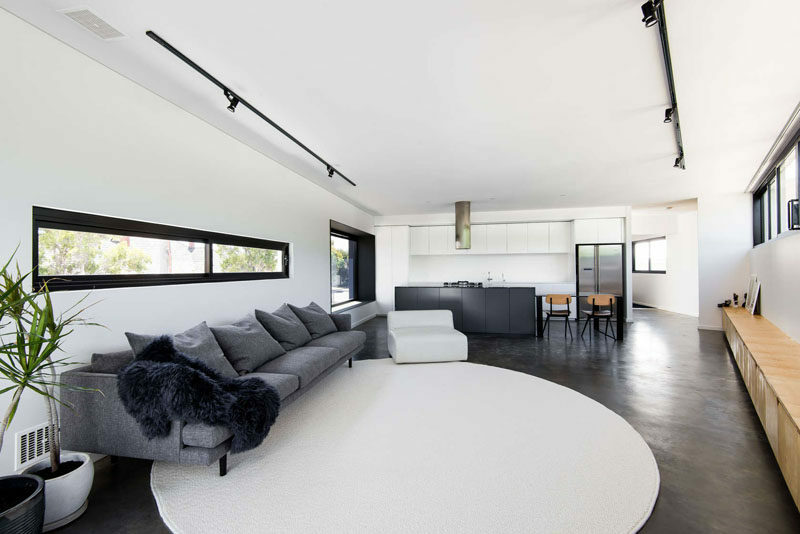 Levy:Chamizer Architects designed this bright modern home. Photography by Shai Epstein. Robeson Architects designed this triangular house. Photography by Dion Robeson.